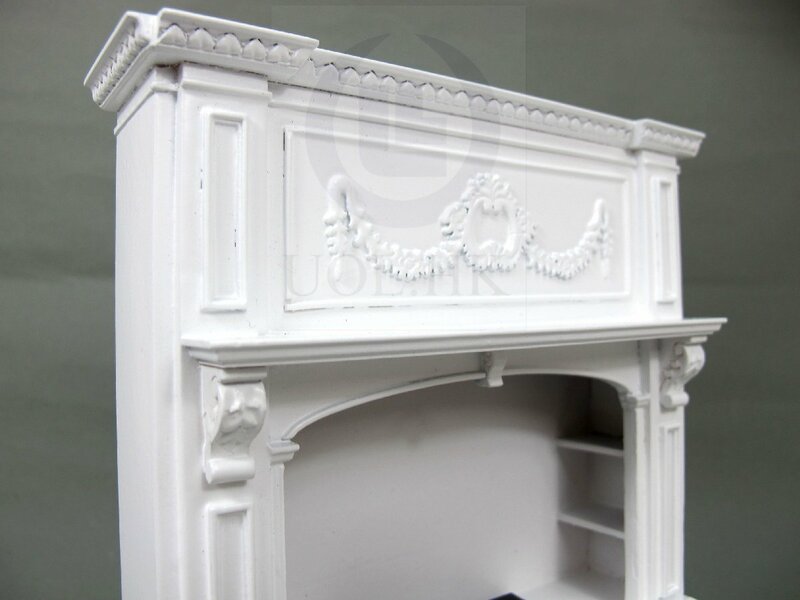 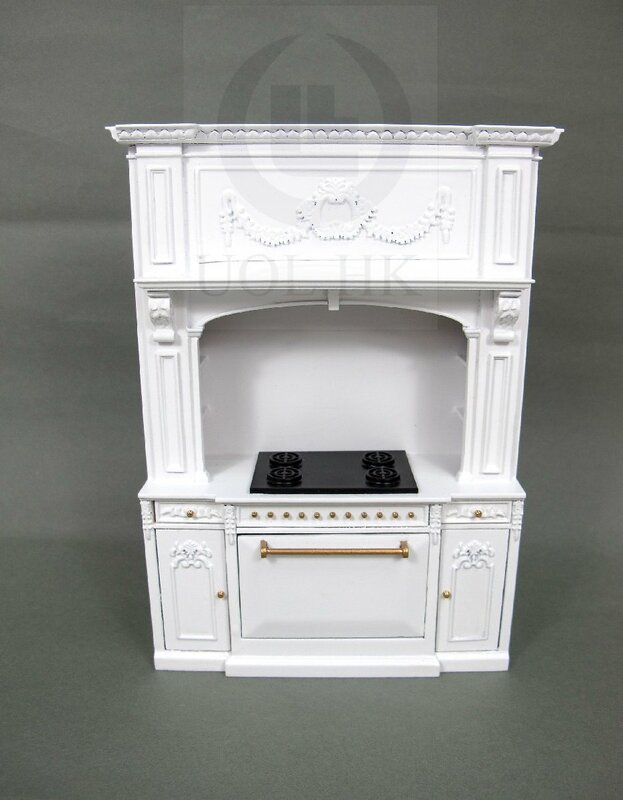 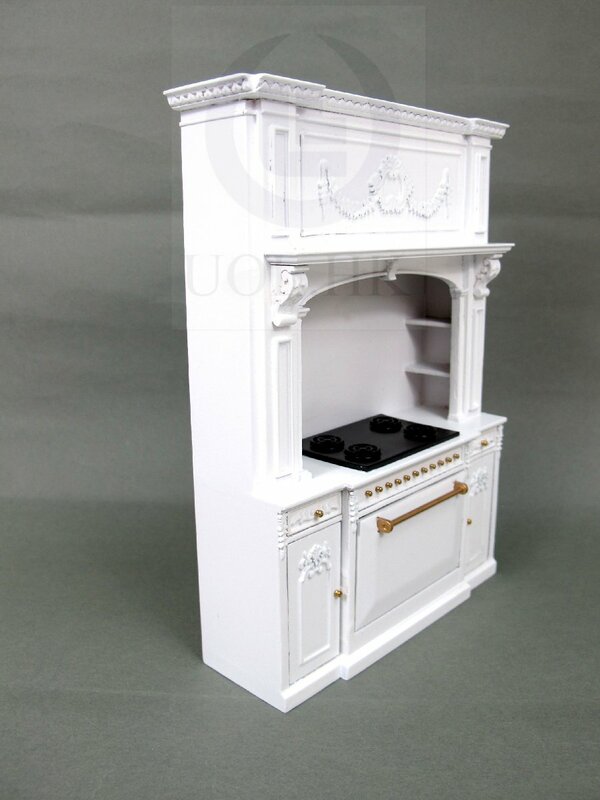 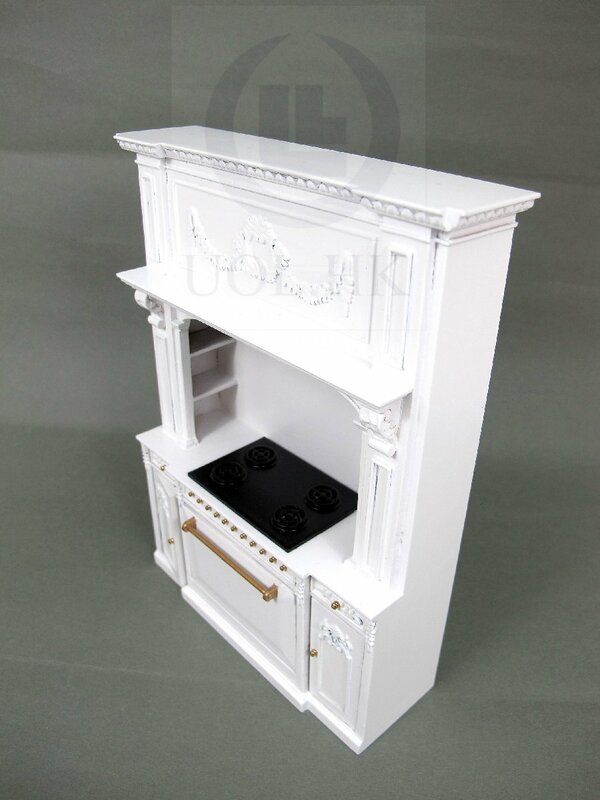 This French provincial glamorous stove cabinet made of wood.Finished in white. 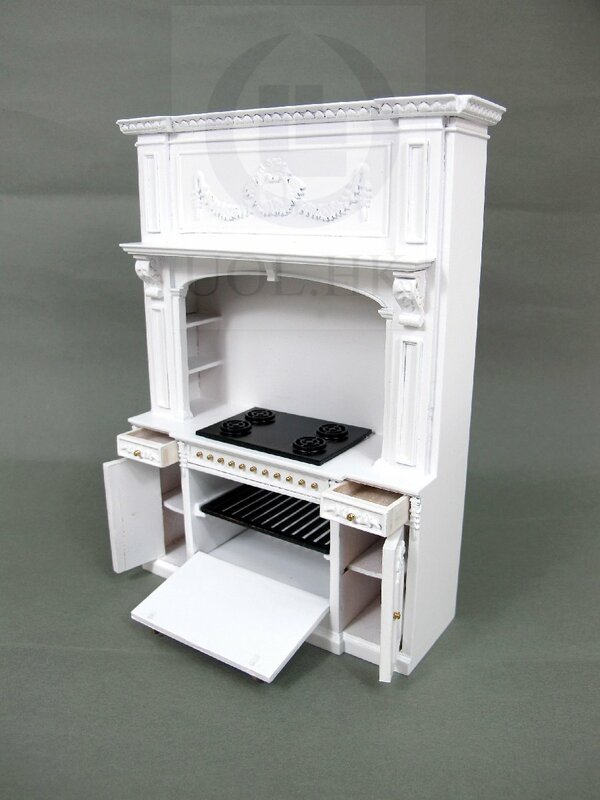 Oven under four burners, oven rack loosed .You can take if off. 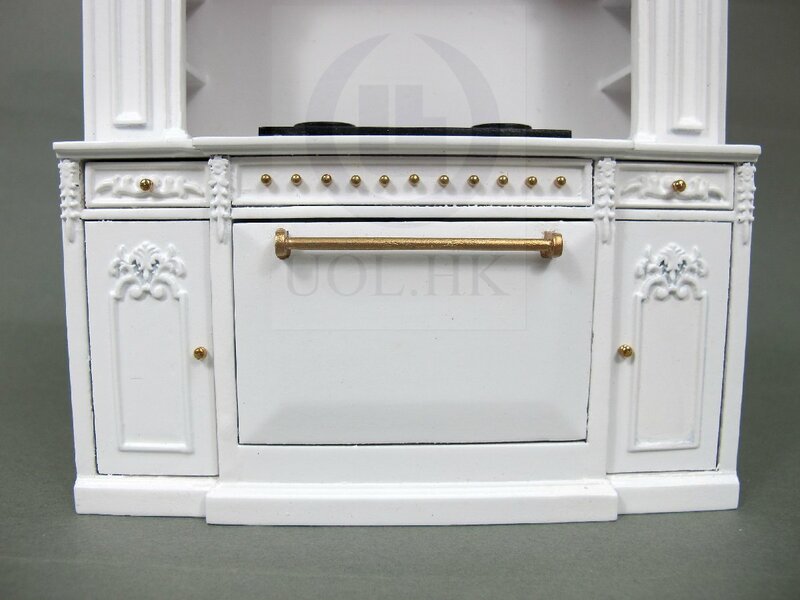 Oven door and handle and baskets are made of wood.